Last summer, the Illinois Craft Brewers Guild and Choose Chicago teamed up to host a series of beer tasting events in neighborhoods throughout the city, giving curious drinkers an opportunity to meet the folks behind Chicago's best breweries and sample their creations. The Friday Night Flights series will return this summer, hosting miniature beer festivals in Wrigleyville, Logan Square, West Loop and on the Chicago Riverwalk. 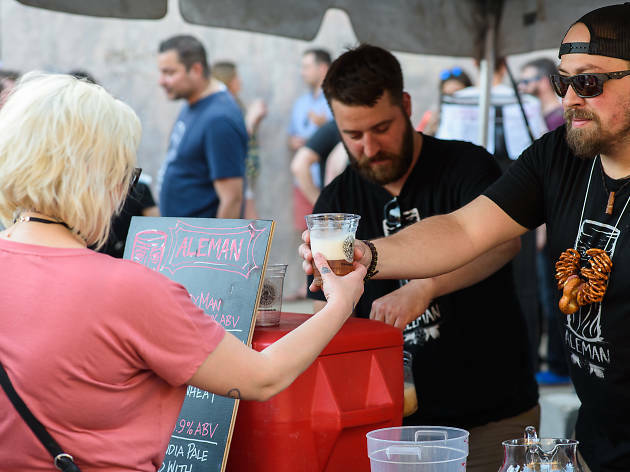 This summer's Friday Night Flights lineup kicks off on Friday, June 15 at Gallagher Way next to Wrigley Field, where 21 breweries (including Alarmist, Band of Bohemia, Half Acre, Lo Rez and Whiner) will gather to pour samples for attendees. Smoke Daddy and Big Star (both of which have locations at the nearby Hotel Zachary) will be serving barbecue and tacos throughout the evening, so you won't have to drink on an empty stomach. Admission to all Friday Night Flights events is free, but you'll need to purchase a sampling pass if you want to imbibe. Guests can buy 10 three-ounce pours for $15 in advance or $20 at the door. Each of these local beer-sampling bonanzas takes place on a Friday, from 6 to 9pm. 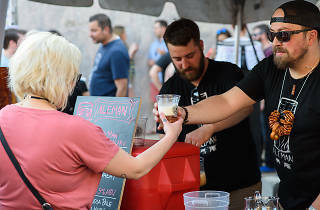 Take a look at the complete lineup Friday Night Flights events below and start fleshing out your calendar of summer beer festivals.